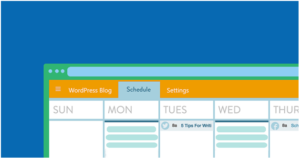 What Is An Editorial Calendar… And Does Your Blog Need One? To adapt a Thomas Edison quote, blogging success is one percent inspiration and ninety-nine percent perspiration. After all, when it comes to getting your content listed in Google search results or bringing in a consistent stream of visitors, nothing works like consistent output. Unfortunately, it’s pretty demanding to push out so much content, so plenty of businesses or aspiring bloggers give up once they realize that they’re not going to see quick results. But that doesn’t mean it isn’t worth doing— particularly if you go about it the right way. That’s where editorial calendars enter the equation. Through proper planning and preparation, you can work a solid blogging schedule into your daily routine without too much stress or mess. But what is an editorial calendar, exactly? Let’s look at what an editorial calendar consists of, and consider why your blog might need one. An editorial calendar is a plan for the editorial content you’re going to post over however long a period the calendar covers (typically a working year, but it depends on your organization). You then follow it as time passes, seeking to meet all the deadlines and fulfil the original criteria. How you actually build an editorial calendar is entirely up to you. You can use a spreadsheet application (Google Sheets, Excel, etc. ), use project management software, or even just use regular calendar software like Google Calendar. Since the format isn’t especially complicated, you can take whichever approach is easiest for you. This doesn’t need to be final, just a general idea of what the piece will be. This should include the format of the piece, what it’s for, any useful information about the topic, and anything else worth noting. Who will be responsible for producing the content? This can be left blank if anyone can do it. These don’t need to be complicated; just the basic terms that need to be included for SEO purposes and to make sure the content covers the right things. Tools like SEMrush can help provide ideas about how competitors are targeting their blogging strategies, but there are also free SEO tools to suit minimal budgets. Every page needs a meta title and description at a minimum for SEO. Relevant internal links are good for SEO, and useful for pushing traffic elsewhere in your blog. Relevant external links offer value to the reader and show expertise. Is the piece complete, half-done, or not yet started? Has it been published? When does the piece need to be finished? The date on which the piece is intended to be published. (It’s often worth including a field for the actual publishing date to track the meeting of targets). After a piece has been finished, the team can add comments to the calendar to make it easier to tell at a glance how well it went. The regularity of a content calendar depends on the type of blog. Someone who wants to create a schedule must start by thinking about what would be valuable to their readers— if they wouldn’t be interested in reading a post every day, or the topics wouldn’t have enough material to merit that kind of frequency, then there would be no sense in updating all the time. Having done that, they must then work out what demand they could meet. This requires considering what can be achieved in the average week, considering everything else that is going on, everyday demands, ideation time, and the prospect of emergency scenarios. If they wouldn’t be able to handle a thrice-weekly setup in the long run, they shouldn’t attempt it. There’s no use in having a good content calendar if it gets ignored or misused (something that is sadly all too common, because the best of intentions quickly give way to the status quo without the necessary effort). 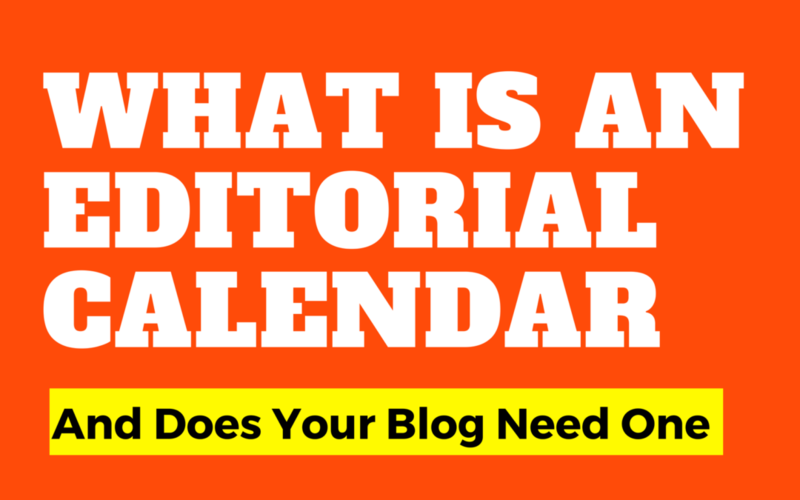 Does your blog need an editorial calendar? This ultimately depends on how seriously you’re taking your marketing strategy, and what your aspirations are. If your blog is just for fun and you don’t really care about the results, then no, you don’t need a calendar, and you can continue updating when you feel like it. If you write each piece of content ad-hoc, you may look back months down the line and realize that you’ve written about basically the same thing every time. This isn’t generally a good idea, obviously. You want to mix things up to keep your readers hooked and give yourself opportunities to rank in Google for different topics. With a schedule planned out, you can know exactly where you are for any given topic, and ensure a sensible distribution of effort that puts the most time into the highest-priority subjects. Even having a title and a basic description figured out in advance will make it enormously faster and easier to write content. Instead of spending an hour doing research before every single piece throughout the year, you can spend a day researching the whole calendar and save a huge amount of time. It isn’t enough to make great content— it needs to be timed and distributed properly. Planning ahead also makes it far easier to take advantage of holidays, seasons, and regular events, because they invariably see massive spikes in search volume for certain predictable terms that you can build long-form content around well in advance. Seasons in particular are huge traffic drivers, particularly for ecommerce. Any webstore creator you can think of will have add-ons, plugins or widgets for implementing seasonal themes. If you can queue up Christmas content to drive visits to a Christmas-themed store, you’ll be perfectly positioned to reap the benefits. An editorial calendar will help you stay on track and make the most of seasonal traffic spikes and sales. Having worked hard on content all year, it’s nice to be able to look back at a completed content calendar and know that you delivered on your goals. That kind of reassurance is important for keeping motivation high so you can continue to work hard and eventually build up the kind of audience and exposure you’re looking for. There you have it— what an editorial content calendar involves, and why it’s an essential tool for any blog with grand aspirations. If you get it right, it’ll make it so much easier to produce good content, and it certainly won’t be the last content calendar you make! Kayleigh Alexandra is a content writer for Micro Startups — a site dedicated to spreading the word about startups and small businesses of all shapes and sizes. Visit the blog for the latest marketing insights from top experts and inspiring entrepreneurial stories. Follow us on Twitter @getmicrostarted.